May spouses with no income, apply for an international term life insurance investment? International term life insurance is important when starting a family! May spouses with no income, apply for an international term life insurance investment? Yes, is the simple answer! Of course one has to go through underwriting and meet all the other qualifications the underwriters will request. 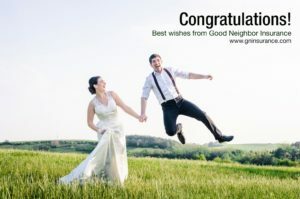 Good Neighbor Insurance provides international term life insurance for those residing outside the U.S. You may view our international term life insurance plans here at https://www.gninsurance.com/overseas-term-life-insurance/. Question 1: Regarding someone who has no annual income (in this case, a stay-at-home-mom), what is the maximum coverage amount they can have on international term life? Answer 1: Typical, if spouses buy coverage together and one is a stay-at-home caregiver, we give them the same limits as the working spouse. Question 2: What is the highest face amount a spouse who has no income can get on your international term life insurance policy? Answer 2: One can request a face amount of $50,000. However, we will be glad to go up to as much as a $250,000 face amount dependent on the family’s income and assets. · International term life policy is available to U.S. expatriates living outside of the U.S.
· 6 months to 10 years. · Regarding the “death of all causes” International Term Life policy, there are no exclusions for war or terrorism or nuclear, chemical or biological warfare, or even suicide if you are not residing in a high risk country such as (at this time) Iraq. · Example of a death due to a war or terrorism situation: Client purchased the Term life policy and is residing / living in UAE. If the insured travels to Baghdad, and is killed in Iraq due to a war or terrorism (since the coverage is worldwide) situation, the policyholder would be covered. · However, if the policyholder is residing / living in Iraq, then the policy would not be issued a “death of all causes” term life policy. For someone living in Iraq and most other war torn countries, we would offer “ death of natural causes only” coverage. However, UAE is not one of those countries so “death of all causes” would be in their international term life policy. · Fully covered unless you are involved in a military or militia. · This means that if you are back in the U.S., to stay, you may still keep your international term life policy and still be covered here in the U.S. during the rest of your term life policy period. · If the policyholder relocates back to North America no longer going to be an expat outside of North America), then they can typically keep the policy through the end of the term before the next annual renewal payment. At the end of that annual policy (when they pay for the next year’s policy premium) the policy will end. However, this is handled by the underwriters on a case by case basis, and the determination is not made until we receive notification that the client has moved. If you are interested only in Accidental Death and Dismemberment (AD&D) we also provide that great investment. You may view this investment for you and your family here at https://www.gninsurance.com/accidental-death-dismemberment/. For more information please call our educated and professional international insurance agents here toll free at 866-636-9100 or at our Arizona office at 480-633-9500. 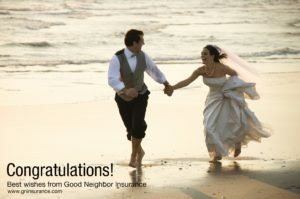 You may also email us at info@gninsurance.com or go to our main web site at www.gninsurance.com for more information. Thank you for allowing us to share these great international term life insurance benefits with you. As an insurance agent and co-owner of Good Neighbor Insurance (Doug Gulleson) I personally hate insurance – but I love insurance when I need it. It is hard to pay a premium for a benefit(s) I am not seeing but I know how important those benefits are for me if I fall prey to a disaster of some kind. Thus, in the end, I totally love and believe in the need for insurance. Because insurance is an investment – a partial or full replacement of a loss I may come across in during my lifetime. International term life insurance is a great investment to make sure your spouse/family has the life that they had while you were here to provide that lifestyle to them, even if you did not have an income. This is why we strongly believe in the benefits an international term life insurance provides to those who are residing outside the U.S.
Blog Home > International Travel Insurance > Term life insurance > 2014 - 2019 updates > May spouses with no income, apply for an international term life insurance investment?